This is a sponsored post written by me on behalf of Miracle-Gro Gro-ables. All opinions are 100% mine. 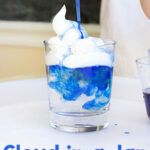 This growing plants science activity is so much fun for spring! 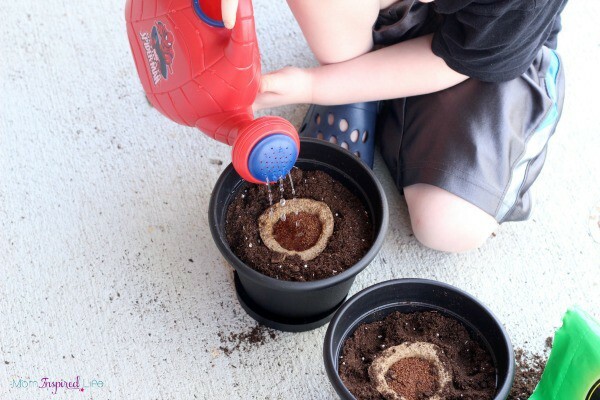 Young children will observe and explore plant growth while learning how to grow their own food. The best part is that it is super simple to do! My preschooler has shown lots of interest in growing his own fruit and vegetables, but to be honest, I have put it off because I do not have a green thumb at all. So when I heard about Miracle-Gro® Gro-ables I was excited to give them a try. Miracle-Gro® believes that there’s a lot to learn from even the smallest plants. So they started The Gro-ables® Project. 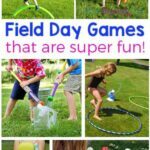 It is a movement to share the fun and excitement of growing herbs and veggies while giving kids truly hands-on learning experiences. You can join us by planting your own Gro-ables, taking part in the activities below and sharing your story! With Miracle-Gro® Gro-ables, everything you need to grow a herb or vegetable can be found in the seed pod and they are all guaranteed to grow! That was music to my ears. I actually felt empowered to take on the challenge of growing some of our own vegetables. When the seed pods arrived and I let my son know what we were going to do with them, he was thrilled! 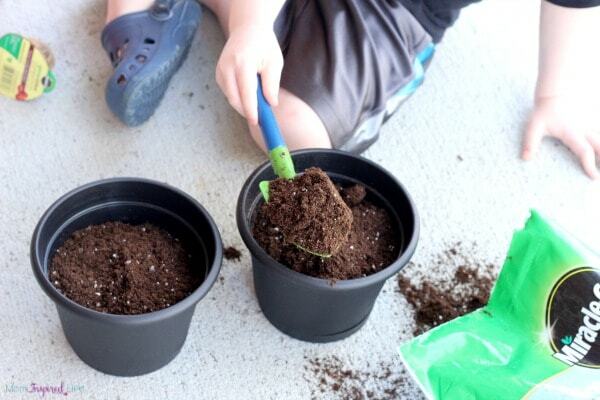 We quickly went to the store to buy some supplies so we could get started with planting them. We decided to plant our pods in pots, so we started by using the shovel to fill them with potting mix. Then we followed the directions on the seed pods and gently pushed the pod down into the potting mix until the rim of the pod was level with the mix. 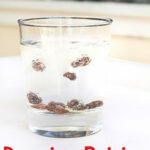 Use the watering can to water the seed pod and surrounding potting mix. That’s it! The whole process only took a few minutes for each pot. 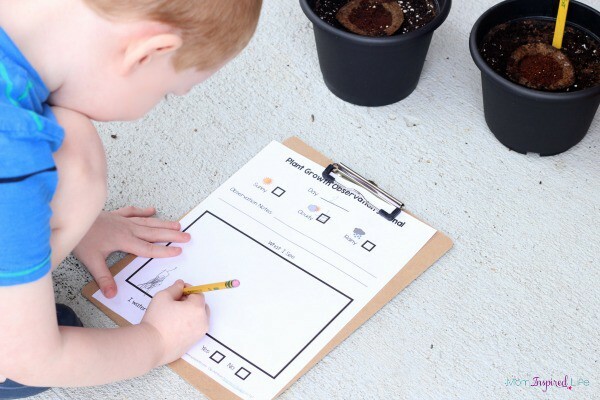 After we planted our vegetables, I thought it would be awesome to create an observation journal for my preschooler. 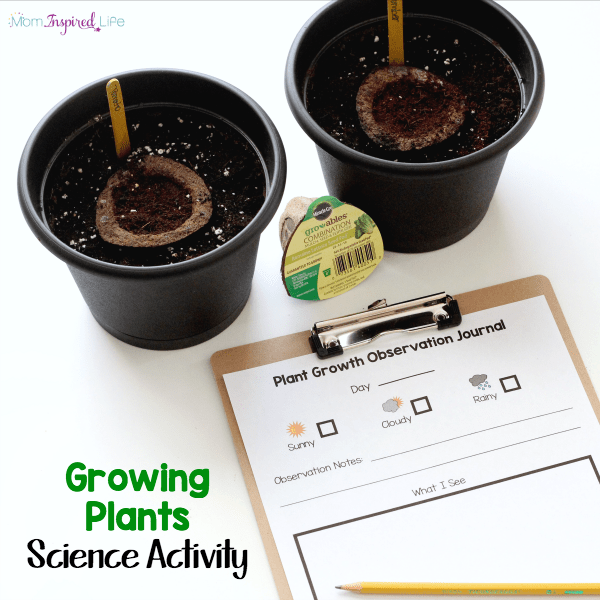 I wanted it to be a simple and easy way for him to record his observations while watching the plants grow. Because he is not reading yet, it needed to be very visual and require little to no writing as well. That is when I came up with this super neat plant growth observation sheet. 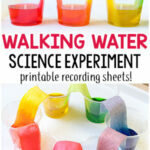 It is an excellent way to focus on the science of what is happening while integrating math, reading and writing. 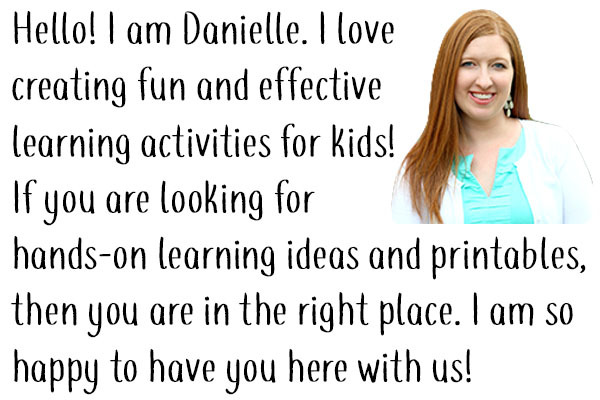 I love that it is such a hands-on learning experience! When I printed it out and showed it to my son, he was beyond excited to get started. It is very easy for him to understand and complete on his own. It only requires him to make check marks and draw pictures, so he feels very empowered to take charge of this and complete it with little to no help from me. As a result, he is very motivated by this science exploration. I even set it up, so you can do it daily, every couple of days or once a week. This way it doesn’t need to be overwhelming or something that becomes a chore. Simply print a sheet and record which day it is in the process. For example, the day you plant them, it would be Day 1. Then you may record observations on Day 4, Day 6 and Day 9. There is also a place for them to record the daily weather, whether they watered the plants, observation notes (optional) and to draw a picture of what they currently see. I have to say, it has been awesome. My son is very excited by the process and I am too! He loves checking on the plants and keeping a journal of his observations. We are learning so much! We would love to have you join us in taking in part in Gro-ables Project® this spring! 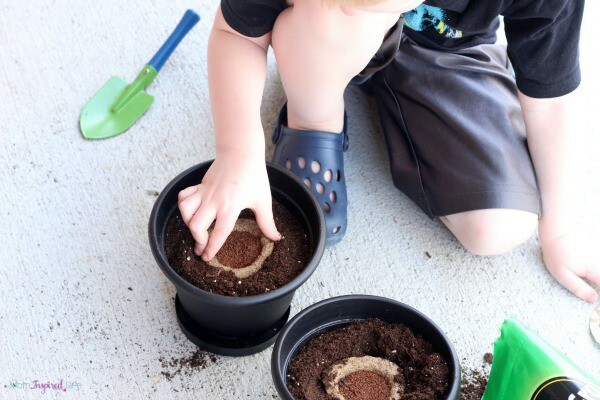 Also, I am definitely not an expert, so I would LOVE for you to share your tips for growing plants with children in the comments below. 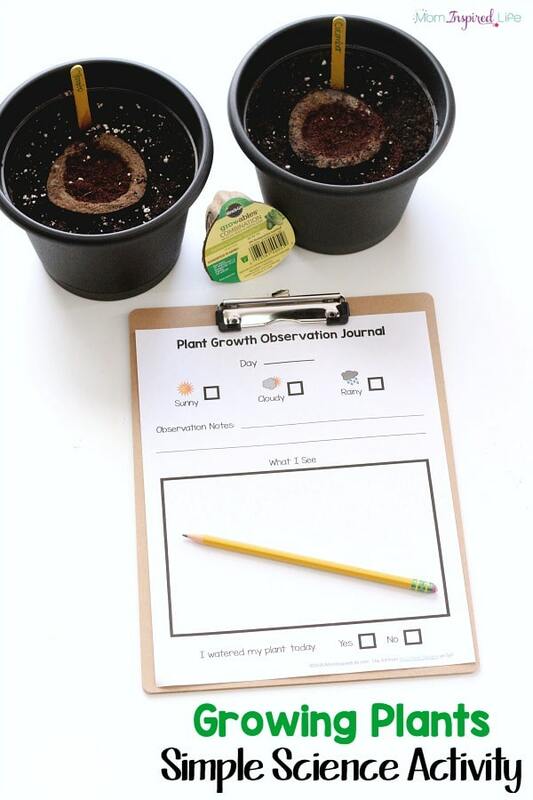 Download the Plant Growth Observation Sheet here! 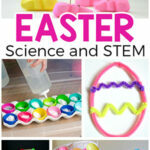 Here are some more spring science activities! 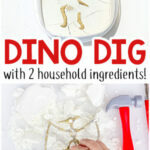 Dinosaur Dig Excavation Activity that is Super Easy!